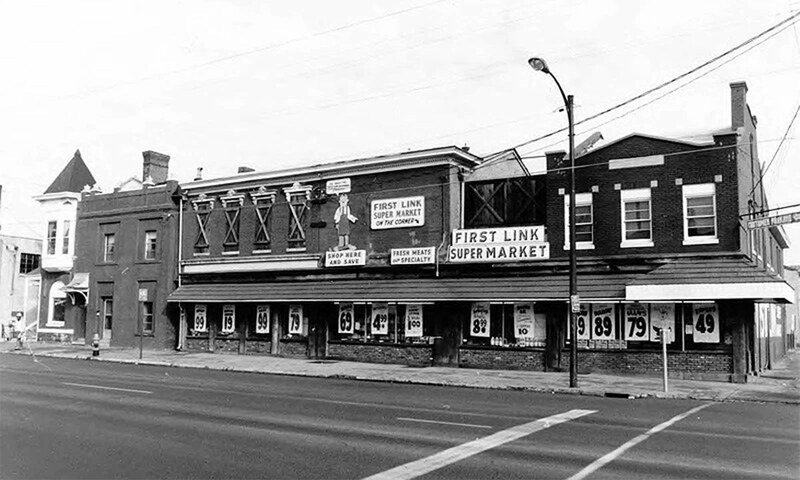 This one could change the tone of East Market Street more than any other development else since Gill and Augusta Holland planted their Green Building in the forgotten, drive-through neighborhood, declaring the area Nulu. After two years of planning, tentative announcements, and waiting, Nulu’s boutique hotel is finally moving forward, and its large, new construction presence on a now-vacant lot will help define the street corridor in a way that Louisville hasn’t seen before. 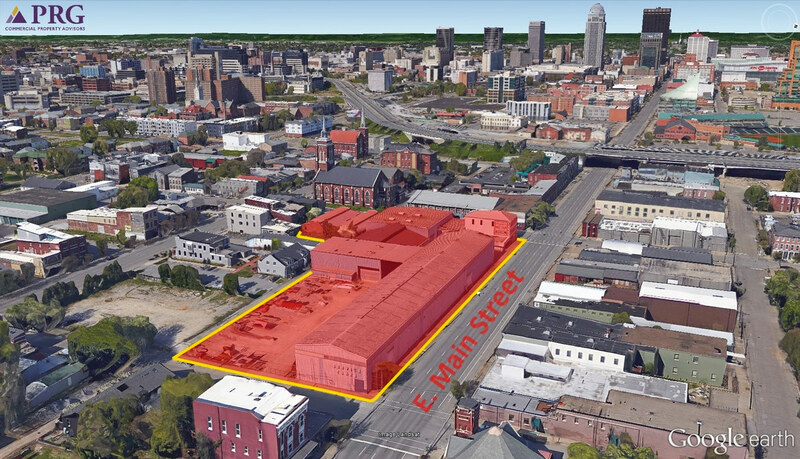 Slated for a vacant lot on the northwest corner of East Market Street and Shelby Street, plans call for a 140-room AC Hotel by Marriott. The structure hasn’t been designed, but Louisville’s Kersey & Kersey will be working on the project, with its principal Steve Kersey participating on the development team. 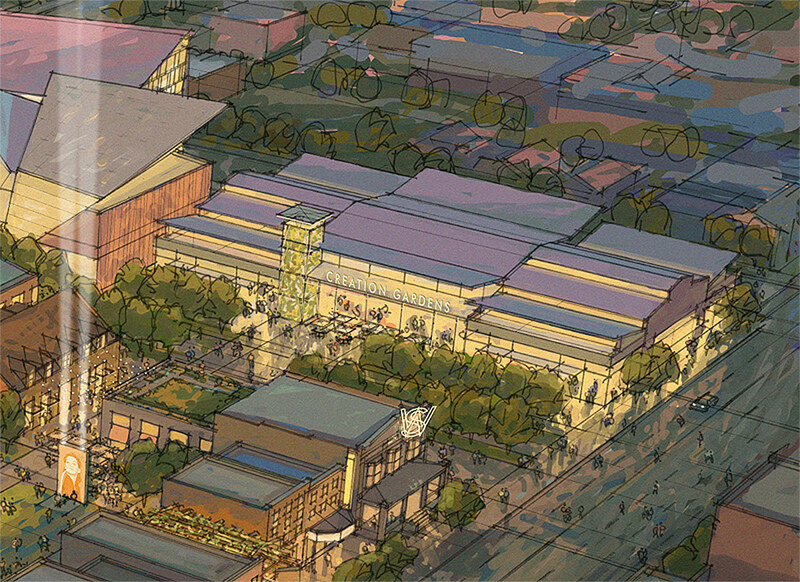 It’s unclear whether the firm, located just a few blocks away, will be the design architect or the architect of record. National chains like this one often bring in their own design architects, but has been known to tap local architects in some cities. Ron and Mollie Turnier, owners of Creation Gardens, have been eyeing this corner since 2009 when they purchased the parcel and planned a commercial grocery store wrapping their wholesale food distribution company at the site. Those plans fell through, as did some seriously ambitious visioning for the entire block, but the Turniers quietly pushed ahead with their new hotel concept. Monday, the Turniers announced a partnership with Raleigh, N.C.–based Concord Hospitality Enterprises to develop the hotel. The company owns or manages 90 hotels in 20 states and Canada. The official development group will go by 725 Partners and includes Ron and Mollie Turnier, Rob Webber, Terry Chynoweth, and Steve Kersey. 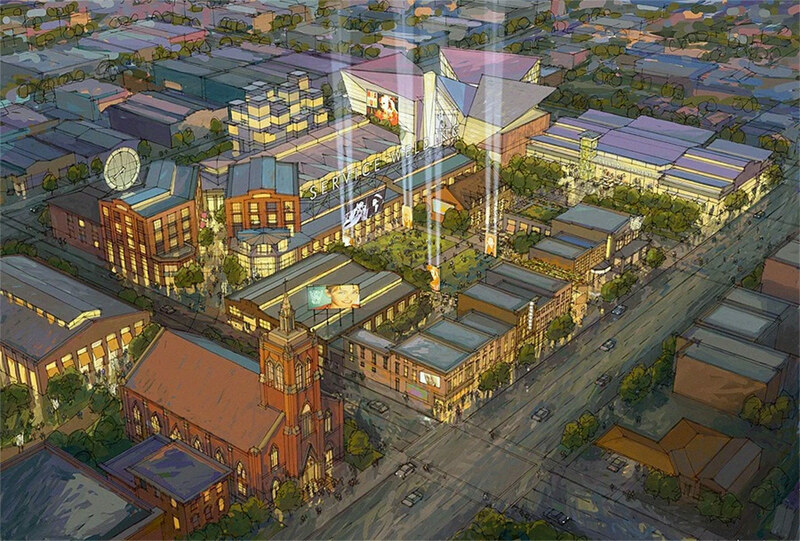 According to a press release, the project at 725 East Market Street will feature “a distinctive European-inspired design and décor package appealing to design-conscious travelers.” Besides the 140 rooms, the AC Hotel will include a rooftop bar, 8,000 square feet of retail space, and will renovate two existing structures. The parcel contains the carriage house with Ghyslain Chocolatier and the former funeral home in front. The AC Hotel brand was founded in Spain in 1998 and has grown to nearly 100 locations, mostly in Europe. Louisville is the sixth U.S. city to develop the brand, along with Chicago, Kansas City, Miami Beach, New Orleans, and Washington D.C. But why is this particular project so important for Nulu? It fills an enormous street-life-draining missing tooth in the center of the district. The vacant lot has at various times been overgrown with weeds, fenced off from the street, and filled with cars as a parking lot. A large new construction building here will really change the tone of the street, and set a precedent for infill in other vacant lots. If all goes according to plan, Nulu’s AC Hotel by Marriott will be under construction in June 2016. Other projects recently completed or moving forward around the hotel include Bill Weyland’s renovation at the Louisville Chemical Company building at Jefferson and Hancock streets, the Rabbit Hole Distillery straddling Market and Jefferson Streets, the 310@Nulu apartments, and the Main & Clay Apartments, among others. With this amount of renovation and new construction, we might need to update the neighborhood’s name to NuNuLu. Congrats Ron, Mollie, Rob, Steve & Terry! So excited for the project. Any updates on this? Is it still slated for a June groundbreaking? The widely reported June 2016 start date has now all but passed without breaking ground. Does Turnier have a comment? We all hope this is moving forward.